When it comes to technology, some developments have been created to make our lives more efficient. And, others to help us monitor our daily activity. And, with the latest innovations, we don’t need to carry around our favourite gadgets by hand — many of them are now wearable. In 2016, 61 million fitness, activity and sports trackers were sold along with 14 million wearable cameras and 15 million virtual and augmented reality headsets. Naturally, when innovating for techwear, the process differs to the normal development timeline. It has to look attractive and be something that people would happily wear with their regular items. This has been difficult, especially when it comes to items such as Bluetooth headsets and smartwatches, as they can often look out of place. Advancements have been made in the smartwatch sector for example, that have changed their design. The latest releases from brands such as Samsung are much more stylish and look more like a watch that’d be bought for fashion purposes. 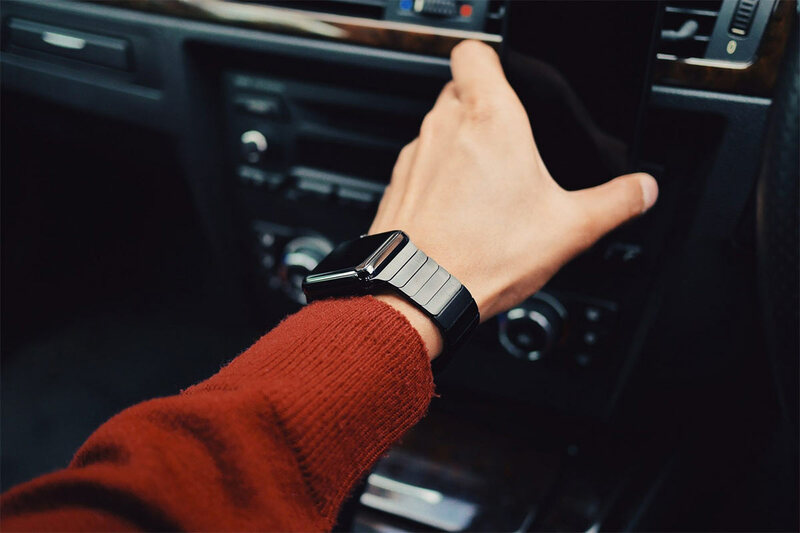 With coloured leather straps and a circular face, brands are moving away from square screens and plastic straps as they realise that smart-watches that look very digitalised don’t go down as well with the target market. Another example of fashion and tech combined was when Levi’s recently teamed up with Jacquard and Google to create wearable technology that could be worn seamlessly with other clothes. The Levi’s Commuter Trucker Jacket comes with its own app and you can control music with a few swipes of the sleeve. Innovations like this could be the start of fully-integrated wearable tech. Wearable technology has further benefits for us too — it can help us keep an eye on our health. Big brands have been involved with this concept too. In conjunction with global beauty brand L’Oréal, researchers developed a wearable device that could monitor UV exposure. Clip it onto a denim jacket or individuals can wear it on their thumb to get an accurate reading of the current UV levels and take appropriate action to keep their skin protected. There are also inventions called ‘health tags’ out there which are able to clip onto clothing. Link them up with your phone to track your activity, sleep, heart rate, breathing patterns and stress levels. And, they can be easily hidden in blazers for men or overcoats. What’s in the pipeline? Future developments could be made so that wearable tech can help out health services too. There has been discussion around the possibility that well-known fitness tracker, Fitbit, could help doctors predict how a patient may react to chemotherapy. Figures have revealed that wristbands and watches will still be dominating the market. And, with 97 million eyewear pieces to be sold in 2020, it will be interesting to see how these will be developed and designed to be truly wearable for all.